Troop 21215, a new initiative from Girl Scouts of Central Maryland, held its first meeting last weekend at 1st Mariner Arena in downtown Baltimore. Troop 21215 was launched with the aim of providing girls who do not have Girl Scout troops in their neighborhoods the chance to have the Girl Scout troop experience. 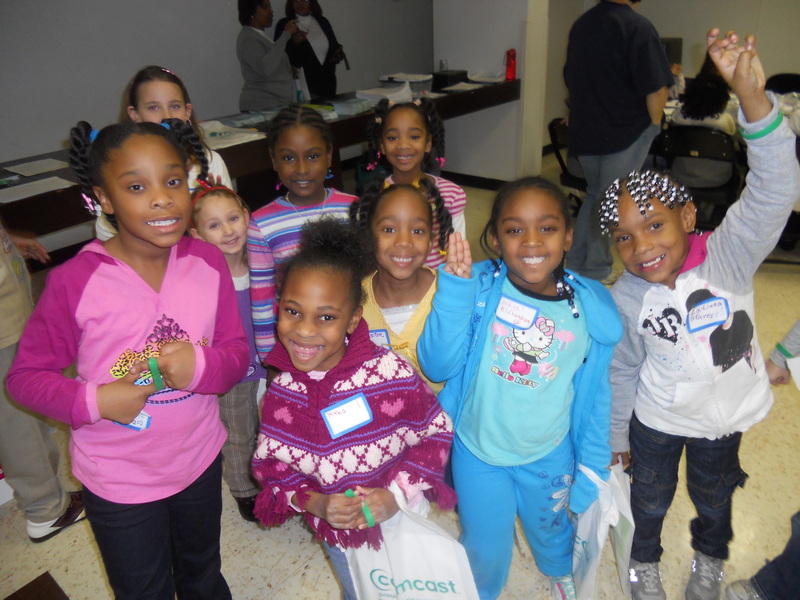 Girls who attended participated in a flag ceremony, sang songs, snacked on Girl Scout cookies, and stayed to watch the Baltimore Blast game. The meeting was a great success and fun for all. While the girls, parents and staff who participated had a wonderful time, there is still a great need for volunteers to lead troops, help run events and programs. There are opportunities for everyone, no matter how limited your time commitment is. Visit www.gscm.org/volunteeropportunities.html to learn more about how you can help.